My wife's bookcase, 9 Feb 2007. 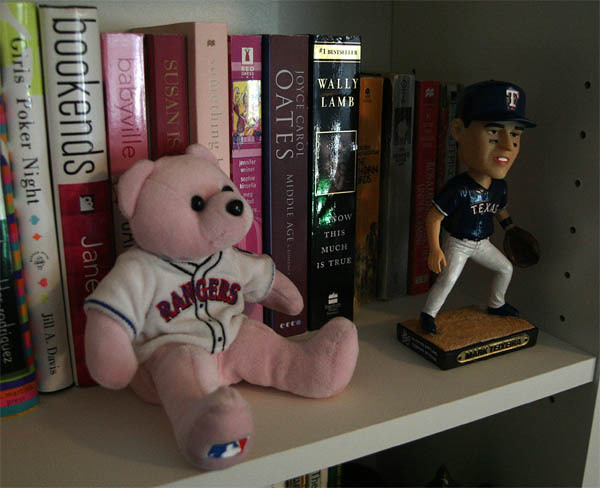 Got the bear in Surprise in 2004 and the bobblehead last season in Arlington. Let it be known that I am doing my part to sustain Tom Hicks and Major League Baseball.